We at BeClaws aim to combine the flavors we know and love to create something exciting for seafood lovers. 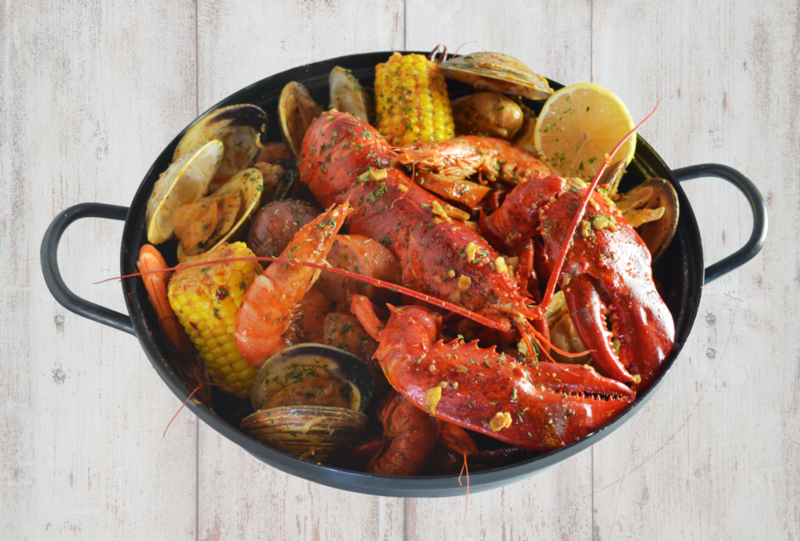 A melding of Cajun + Asian flavors, BeClaws is bringing the best of both worlds into one delicious meal…. Because why follow the rules? Try our house favorite Caj-sian Sauce for a punch of flavor + spice! Now available for sale in our restaurant. Follow us on Facebook + Instagram for news. Step 1) Choose your Catch (below). Come with all of the fixin's (Corn on the Cob, Potatoes, Sausages, and Rice) and served in a bag or pot. Come with a side of fries. Calamari or Shrimp • Hot! Served with rice, veggies, and avocado salsa • Hot!